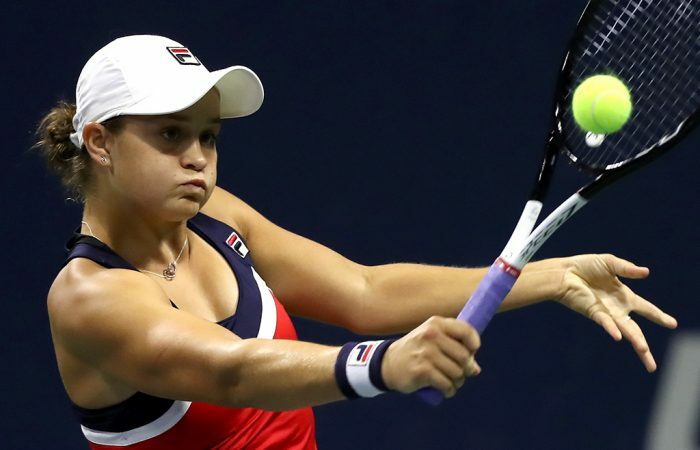 Australian No.1 Ash Barty faces former finalist Karolina Pliskova for a place in the US Open quarterfinals. Ash Barty is through the last 16 of a major for the first time – but isn’t done yet. 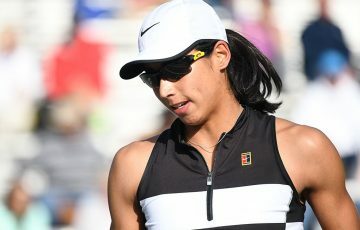 The 22-year-old former Wimbledon girls’ champion will carry a 2-1 winning record into her US Open fourth-round clash with eighth-seeded 2016 runner-up Karolina Pliskova. The pair will meet in the second match on Louis Armstrong Stadium at around 3am AEST on Monday. “Obviously Karolina’s played well here in New York before. 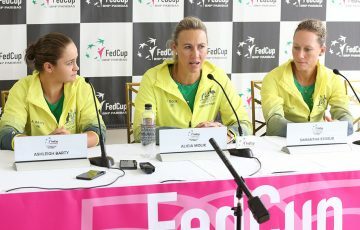 She probably had her first biggest breakthrough here, when she made the final,” Barty said. But Barty’s own big game was good enough to see off Pliskova in their only previous meeting on a hard court, in Wuhan last October. And now Australia’s 18th seed is bringing it in New York. Revealing statistics show Barty’s serve to be the second-most effective in the draw behind only the great Serena Williams. 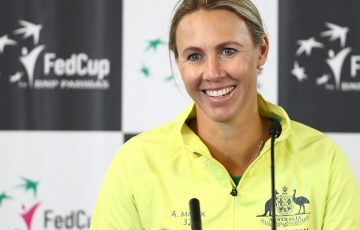 The Queenslander has faced just eight break points in three matches, two more than Williams, while her 25-from-29 service games won is only bettered by the American (23 from 24) and Japanese star Naomi Osaka (21 from 22). “The whole summer I’ve felt like I’ve served pretty well and I get myself ahead in service games and it’s always a good thing,” Barty said. Keeping the points short is also proving key to her progression through the draw. Barty’s deadly one-two punch has delivered a 50-point advantage over her rivals over the first three rounds when her rallies last four shots or less. Pliskova, who now has former Australian doubles great Rennae Stubbs in her box, plays a similar first-strike style, setting the scene for an intriguing match-up in Sunday’s second fixture on Louis Armstrong Stadium. Barty tuned up for the Czech with a 6-2 7-5 second-round women’s doubles win with Coco Vandeweghe over fellow Australian Monique Adamczak and American Desirae Krawczyk on Saturday. “Any time you can go out and compete is better than getting on a practice court,” Barty said. “And obviously it’s a hell of a lot of fun with Coco. Before matches we actually don’t talk a lot of tennis. We talk a lot of rubbish to each other and have a lot of fun and she’s very lighthearted. 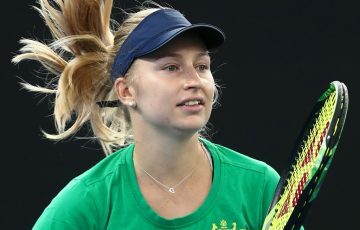 Victory over Pliskova would set up a blockbuster quarterfinal with Williams or Kaia Kanepi, the Estonian who ousted world No.1 Simona Halep in the opening round.